Babies use their attention (where they are looking or if they are looking) to help regulate (control) themselves. Ever see a baby fall asleep in a really noisy place? They are overwhelmed with stimulation and sleep is a way to control that. So is looking away from that loud stranger who has gotten too close. The key problem in ADHD is that children can’t keep their attention from being distracted. This is known as “inhibition.” Whereas children without ADHD are able to ignore distractions, like someone coming into their classroom or a noise going on in the other room, a child with ADHD can’t help but react. Even if that means they get in trouble! 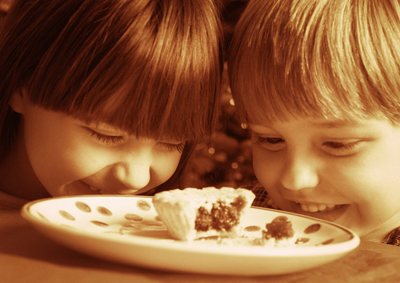 When we learn something new like driving, reading, or tying shoes, our attention is fully focused. We can’t do anything else. Likewise, when we do something challenging, like driving in traffic, reading in fuzzy font, or figuring out our new Smartphone, our attention is fully focused–and again, we can’t do anything else. Learning something new is often frustrating. When learning a new task, people’s thoughts and attention tend to be negative. E.g., “I don’t like this,” “This is hard,” “I’m never going to get this,” and other downers like that. But the cool part is, the better you get at the task, the less likely you are to have those negative thoughts. The key is to make it past that first, tough part. Just like babies, children and adults can refocus their attention to regulate or improve their mood. If their friend takes away a toy, a 5-year-old who immediately finds a new toy to happily play with is going to have less trouble in kindergarten than a 5-year-old who strikes out and becomes angry. Likewise, an adult who can “focus on the positive” (ick-phrase, but true) after a setback has better mental health. Last night, at Torn Space Theater’s surreal production of They Kill Things, I used my attention to regulate my fear. There were lots of creepy situations, and in an everyday environment, I would have freaked out if a bulky masked man walked up to me and looked closely at my hands. 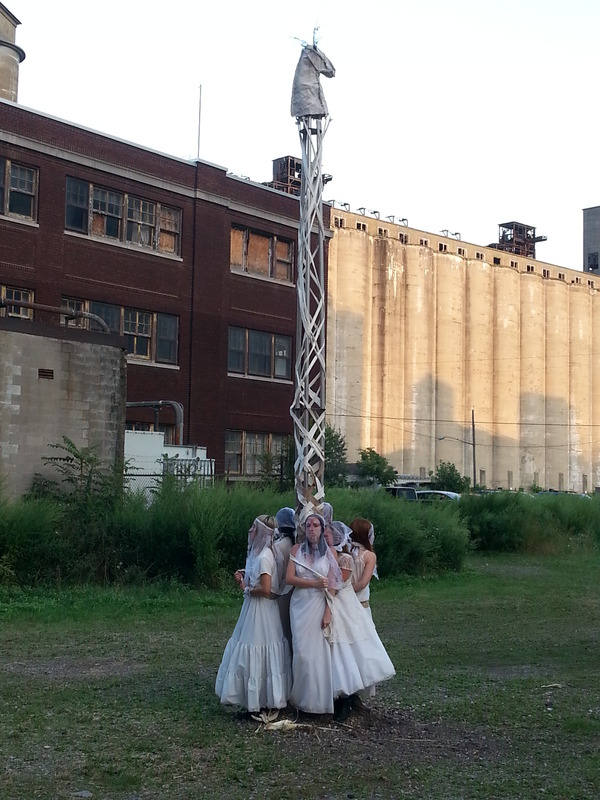 Or if a group of masked maidens dressed in white rags wrapped a May pole while chanting. 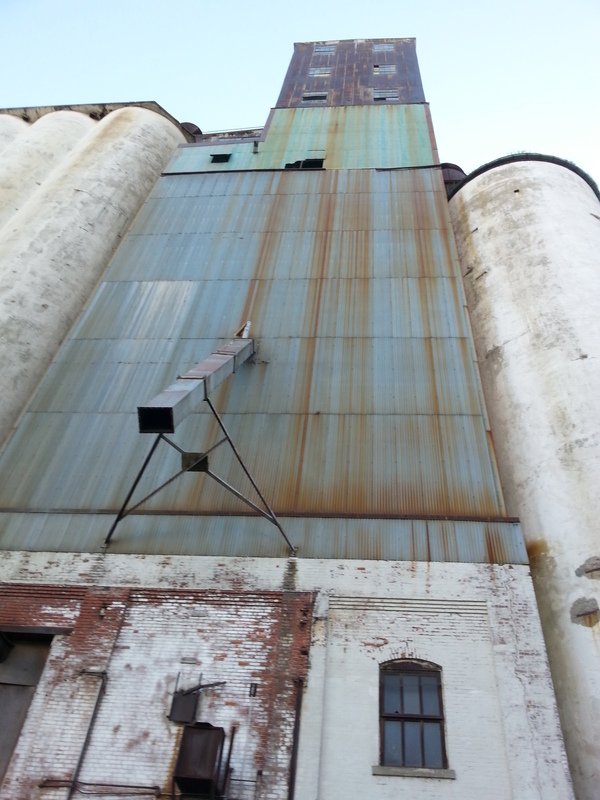 But I was in Silo City, a converted industrial site. The environment was so amazing and so different from anything I’d ever experienced, that I could move on from feeling scared immediately, simply by refocusing my attention on something else. Obviously there are times when it won’t work to refocus attention. There are plenty of situations that demand your full attention, for safety, or learning an important lesson, for example. But awareness of attention as a resource has definitely helped me in certain situations. Even outdoor interactive theater productions. Eve Pearce is a full-time writer and mother of two. When she was in her teens, addiction hit the family and left wreckage in its wake. She has since moved states, settling down in Oklahoma, which is a far cry from her Connecticut roots, where she writes about her experiences and passion for art and literature to help addiction’s victims and addicts themselves. The therapeutic nature of writing should not be underestimated. Studies have shown that writing can help people overcome personal trauma, and even helped US students come to terms with the events of 9/11. Writing has also been linked with helping to ease the physical symptoms of such illnesses as asthma and rheumatoid arthritis, and is said to boost the immune system. With all that writing is capable of, the question remains; can it help those suffering from addiction? Whether it is addiction to drugs, alcohol, or gambling, addiction presents itself in a variety of ways. There is no ‘one size fits all’ approach to overcoming an addiction, but as with so many problems in life, writing can and does help. Of course the first step to overcoming an addiction is admitting to having a problem. The next is to seek outside help, as this will give addicts a much higher chance of beating the addiction and staying on the wagon. While the love and support of family and friends can be a great help in the journey to recovery, for most people it takes the help of qualified professionals to truly get them on the right track. Drug abuse rehab is one of the most reliable options available for addicts who truly want to get better. New York rehab facilities are some of the best in America, with places that offer varying types of programs to help deal with all kinds of addiction. Therapeutic writing is often used as part of rehabilitation programs, depending on the facility. Regardless of whether it is part of the program, patients can and should use writing as part of their healing process, whatever stage they are at in their recovery. Regular individual and group therapy sessions are commonplace in rehab. Individual sessions can help patients to identify the root cause of their addiction, and what changes need to be made in their lifestyle to keep them from temptation. Whereas group therapy can help patients in understanding that they are not alone in their struggle; that others experience the same highs and lows that they do. Some people thrive in this type of therapy, and have no issue with discussing their personal problems and experiences with strangers, while for some the process can be very tough. Keeping a daily journal provides a fantastic addition to this form of speaking therapy, helping those who are shy about speaking to let out their bottled-up emotions. It is a human tendency to omit certain details when relating our experiences to others, depending on the image we want to present of ourselves. This happens subconsciously. A journal however, will only be read by its owner, and there is really no point in lying to oneself. Patients should empty their thoughts and feelings onto paper, without worrying about coherency and without censoring any of the less savory details. This process of ‘letting it out’ provides an immense sensation of relief. Reading back through the journal will also help patients to identify areas they need to work on during therapy. In order to have gotten to the point of admitting to having a problem and seeking help, most addicts will have reached the ‘rock bottom’ stage. Addiction grips its sufferers in a way that forces them to make bad decisions that they would not have made in their right mind, as getting the next ‘fix’ is all that matters. Family relationships and friendships are often greatly damaged as the result of addiction, and putting pen to paper can go a long way towards repairing this damage. It’s often hard to eloquently express ourselves through speech, and it is also too easy to avoid the most difficult of topics. 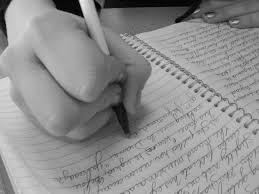 Writing a letter to the loved ones that have been hurt because of addiction is the best way to truly express remorse. Not only will this process help to repair the broken bonds, it will help relieve the guilt that can often drive people back to the source of their suffering. Whitbread and Orangeprize-shortlisted novelist Jill Dawson began her writing career with a journal she started writing at age nine. As quoted in The Guardian, she says: “It has helped me personally and also made me a better writer.” Like Dawson, addiction sufferers may find that the process of journal writing unlocks a potential they never knew they possessed. Addiction is a common problem throughout society, and for many, reading or hearing about the struggles and success stories of fellow sufferers can be a great help. So for those who have faced addiction and come out the other side; there may be no greater way to give back. Over the past few weeks I realized I was on email overload. Email had become my go-to procrastination activity, but unlike watching Arrested Development, it was also what could send me into panic mode most reliably. I used to leave work, unsure of what I had accomplished, but feeling completely fried. We have just come through a period of deadlines at work, where I needed (or pretended that I needed) to keep email open all the time in case something time-sensitive appeared. But having my brain on constant alert mode meant I was attempting to keep vigilant attention all day, which is exhausting. Not to mention, about half of the incoming emails required a response, so I was also adding to my to-do list several times per hour. A few conversations helped me confirm that I’m not the only person suffering from email fatigue. Colleagues shared strategies like reading email twice per day, once in the morning and again in the late afternoon; or anytime except for morning writing sessions; or replying to emails about certain topics on certain days. I even heard of a somewhat complex system of replying promptly when not working on a paper, and replying with a canned “I’ll get back to you in 2 weeks” when working on a paper. When I mentioned my new email diet to a student, she acknowledged she does the same thing, and admitted that she’s afraid she’ll miss something important. She rattled off all the different lists that provide regular, sometimes time-sensitive, information: coursework, program announcements, student news and events, and our lab announcements. Our culture challenges us with “too much of a good thing” habits: flying on airplanes, watching television, checking email. As much as I appreciate my information economy job, it’s making me tired, and there are no structures in place where I work to help my email behavior improve. The first hurdle was identifying the problem. I don’t think I wanted to admit to myself that I “couldn’t handle” having my email open all day. Like an addict, I thought it was under my control and that I could stop at any time. I also compared myself to other colleagues, assuming they were on email all the time, asking myself why they could do it when I seemed to be tiring myself out. Then the light bulbs began to go off: first, I recalled the words of one colleague who I believe manages his email better than I do (his five young children probably provide some extra incentive): “Emails beget emails.” Which means replying to emails – “tidying up” –exacerbates instead of solves the problem. Finally, I gave myself a break. I decided it’s okay if I become tired at work and if I become tired from checking email. I decided I’m not Super Email Woman (apparently someone is. The internet is amazing). Instead, I’m Normal Brain Lady. This last insight was difficult. I was reading an essay this morning by Diane Ackerman and she shared the simple, “why didn’t I think of that” idea that her energy is finite. She wrote that in one morning, she can either write, OR talk to a friend, OR answer emails. But not all three. And it’s okay, because she’s Only Human. Imagine that. (And now, with my extra brain energy, from being kind to myself, I can). For Mother’s Day this year I would like to thank my mom for her ability to love. I first learned about this idea of love from the special features following the film “Pieces of April.” Derek Luke, who plays Bobby in the film, says the movie is unique because of its message about love. Through the magnificent failings of all its quirky (did I say quirky? I meant dysfunctional) characters, the film shows that love is an ability, not a feeling. Which means it is something that can be learned, a word I usually associate with school. While I learned about the importance of effort in academic pursuits in graduate school (and boy, did I! ), it took me longer to realize that the same effort could be applied to learning emotional and relationship matters. And though I began my academic learning when attending school for the first time, my ways of feeling, reacting, and relating to others had been practiced and reinforced since I was born. When certain behaviors, like a particular way of responding when another person speaks, are practiced over and over again, they create “super-highways” in the brain. After that, they become the default behavior – the impulse, the automatic response, or the thing that is easiest to do without thinking. For example, if a child is often hungry as an infant, that child will probably react to a snack by eating it immediately when it appears. If the child has never had the opportunity to practice waiting to eat snack, he probably won’t be very good at it: behaviors that aren’t practiced are like roads that don’t get driven on. They simply disappear. I was angry because my mom had said exactly what I was thinking. It’s kind of ironic to get mad at someone for essentially agreeing with me. But like many default reactions, anger is a defense mechanism meant to deflect other negative feelings like feeling scared (in this case), or ashamed or ignored. It is not a very useful response, because no matter what the anger is directed towards – a person, the store that’s out of a key ingredient, a flat tire – the anger usually shuts down the situation instead of resolving it. In the past couple years, I decided that I needed to find a way to either avoid anger in the first place, or (more realistically) to do something besides go into attack mode when I felt it. The process was (is, I must admit) messy and stilted. In emotional conversations, I often become angry anyway, even after telling myself it won’t happen. 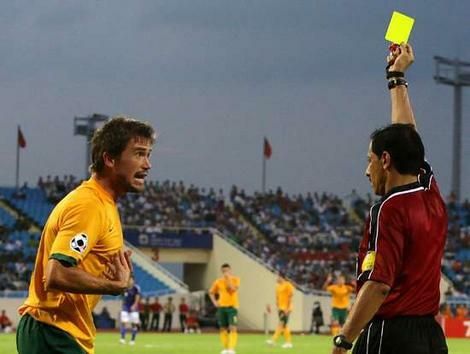 (I once made myself a little note – a “yellow card” like in soccer – to use when I was feeling over the edge; I was in Italy during the World Cup at the time). It helped when a teacher reminded me that “when under stress, regress,” which means, when a person is under stress, she reverts to her original ways of handling a situation. This helped me to have patience with myself when I was trying to lay down the new highway in my brain. It helped me to realize that even if I didn’t always succeed in managing anger, it was important that I was trying, and some day, I might succeed. Eventually, after a much longer time than expected, I became able to feel anger and not do or say anything about it. I can “just be” and let the feeling occur. Sometimes, magically, I can even say, “I want to talk about this, but can we do it later?” Other times, it is like my car has stalled on the highway. I won’t let it go any further down the anger road, but it doesn’t have anywhere else to go. So I remain silent, staring, remembering my breath. And still other times, when I am at my most vulnerable, the anger still comes. My mom has stuck by me in all of this. She has talked and listened on too many phone calls to count (though my cell phone company is delighted to count them). For several months last year, we talked on the phone every single night. I was going through a divorce, plus dealing with health problems, and was not the most cheerful of conversationalists. But my mom was there, putting in the time, listening and responding. Sometimes I even asked her for a different response, which she remarkably was able to give. And many, many times, my mom responded with wisdom and kindness, with words I didn’t even know would make me feel better and with stories that helped me see the strength and dignity in our human plight. She helped me see the value of having the world tumble down around our feet. She helped me find my own particular strength and dignity. My mother is not a perfect person (I always wonder why that seems like a disclaimer. As far as I know, not one of us is perfect so this is a way of saying “she is a human being, not a robot” which is intended as a compliment). But my mom has a quality that I admire a lot: she tries, really hard, to love. She sees love as an ability and as something you can show a person through words and actions. She believes that people can change their words and actions, that she can change and I can change for the better – “for the healthier.” She is able to love me. And she succeeds. Thank you, Mom, for all that you’ve done, to get me here, to today. I’m more grateful than words can say (But like the academic I am, I shall try).